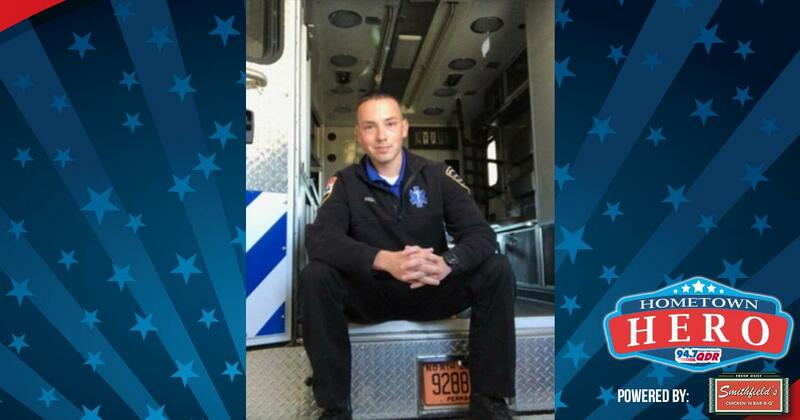 Our Hometown Hero of the week is Dustin Swinson a paramedic at Mount Olive. Dustin was nominated by Madeline Swinson who shared: Dustin has been an EMT since he graduated high school. He became a paramedic at 20 years old. He shows a passion for his job that is rare, and he views each shift as an opportunity to save lives. He is always willing to pick up extra shifts when his coworkers cannot work. In addition to that, he is extremely intelligent and teaches EMT classes at the local community college. But, above all, he has a heart that is made of gold. His kindness sets him apart from others in his field. Thank you Dustin for your service! We’re sending you a gift card to Smithfield’s Chicken ‘N Bar-B-Q to thank you for all you do!